Dr. Lewis D. Stallworth Sr.
Every Student, Every Day...Academic Excellence Is Our Ultimate Goal! Thank you for your interest in Dr. Lewis Dolphin Stallworth, Sr., Charter Schools, Inc. (DLDSSCSI). We welcome new students and their families to our school district. 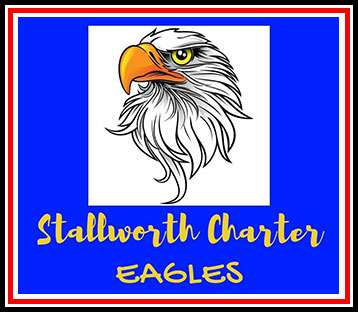 We are chartered by the Stockton Unified School District and strive to make Stallworth one of the best places for your child to learn and grow. Our school enrolls students from transitional kindergarten through 8th grade, and we recruit a diverse population of students within San Joaquin Valley. We welcome students currently enrolled in private or parochial schools, students and families who are not satisfied with their public school options, and those who understand and value our mission and are committed to our instructional and operational philosophy. Please call us anytime to ask questions, inquire about availability, or to schedule a visit. We are very happy to share our beautiful campus with you and help you decide if Stallworth is the right fit for your family. Thank you for visiting our website. We hope to hear from you soon.